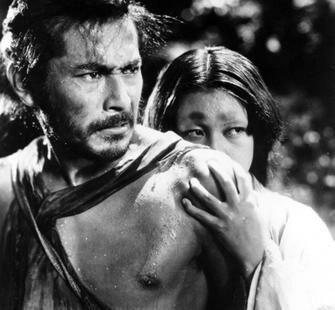 Friday, September 27, 2013, 6 p.m.
View the acclaimed Japanese psychological thriller, Rashomon, widely considered one of the greatest films ever made. This film served as inspiration to artist Chuck Ginnever for his eponymously titled installation currently on view at Montalvo, part of the Art on the Grounds 2013 exhibition COME HEALING. Directed by Akira Kurosawa, Rashomon investigates the subjective nature of truth and the elusive meaning of justice.